Our Knightsbridge atelier and flagship Caroline Castigliano boutique is the essence of calm and serenity. Symbolic and emotional, selecting your perfect bridal style from our selection of designer wedding dresses becomes a memory you will savour forever as an extension of your wedding – we offer an unrivalled level of service to ensure that every aspect of your experience is personal, exciting and unforgettable. 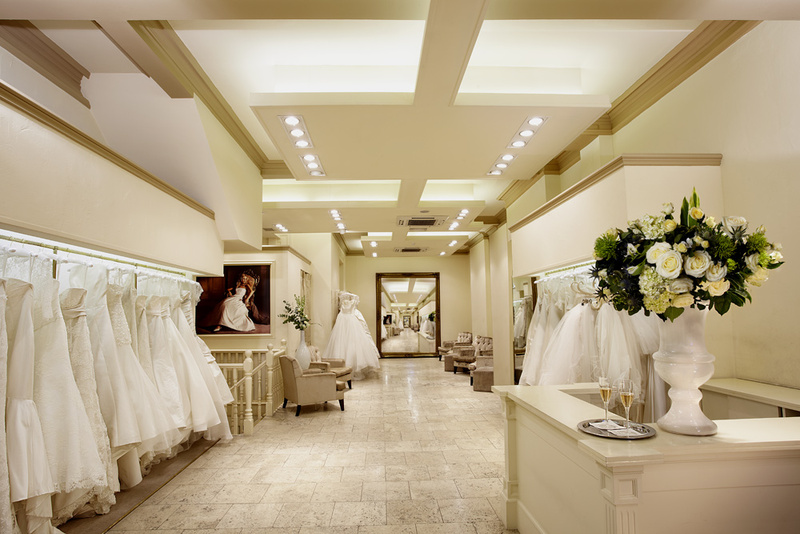 From the moment you enter our boutique you are in skilled hands. Experts at bringing the vision of each of our brides to life, our experienced wedding stylists will guide you through your appointment. We look forward to welcoming you at our Knightsbridge atelier to help you to realise your bridal vision; make the perfect wedding statement with an exquisitely crafted gown by wedding dress designer, Caroline Castigliano.